What age patients do you see? What are sealants, fillings, and crowns? My child knocked out her/his permanent tooth. What should we do? My child broke her/his tooth. What should we do? My child has bad breath. What can I do? My child gets canker sores (apthous ulcers) all the time. What can I do? Why does my insurance cover amalgam and not composite? Will my insurance pay for braces? Does Eversmiles participate in my insurance company’s plan? 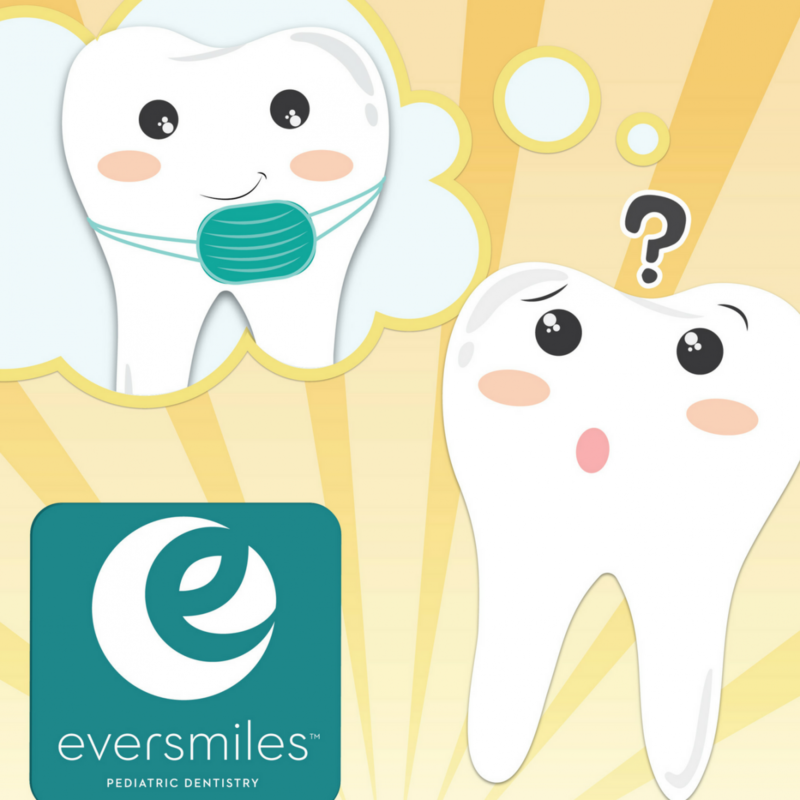 Pediatric dentists at Eversmiles have an extra two years of specialized training after dental school and are dedicated to the oral health of children from infancy through the teenage years. 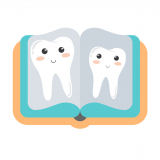 The very young, pre-teens, and teenagers all need different approaches in dealing with behavior, guiding their growth and development, and helping them avoid future dental problems. 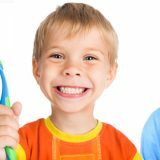 With the additional education, pediatric dentists have the training which allows them to offer the most up-to-date and thorough treatment for a wide variety of pediatric dental problems. When a Pediatric Dentist is Board Certified, it means that the American Board of Pediatric Dentistry or ABPD certifies that the dental care being provided is based on standards of excellence that lead to high quality oral health care for infants, children, adolescents and patients with special health care needs. Certification by the ABPD provides assurance to the public that a Pediatric Dentist has successfully completed accredited training and a voluntary examination process designed to continually validate the knowledge, skills and experience necessary for the delivery of quality patient care. We see patients from infant through adolescence, and individuals with special health care needs. According to the American Academy of Pediatric Dentistry (AAPD), your child should visit the dentist by his/her 1st birthday or at least 6 months after the eruption of the first tooth. Beginning dental care at an early age allows guidance for caring for your child’s teeth and opportunities to address preventive issues that are important for healthy teeth and a pleasing smile. 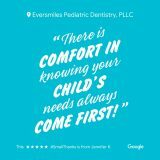 Early visits also help establish a positive relationship between the dentist and your child. 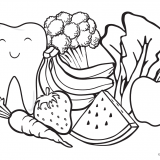 It is very important to maintain the health of primary teeth (baby teeth). Neglected cavities can cause pain and infection, and it can also lead to problems which affect the developing permanent teeth. Primary teeth are important for (1) proper chewing and eating, (2) providing space for permanent teeth and guiding them into position, and (3) permitting normal development of the jaw bones and muscles. Radiographs (x-rays) are a necessary part of your child’s dental diagnostic process. Without them, certain cavities will be missed. They also help survey developing teeth, evaluate results of an injury, or plan for orthodontic treatment. If dental problems are found and treated early, dental care is more comfortable for your child, and more affordable for you. Starting around age 4, our office will request bitewing radiographs approximately once a year and panoramic radiographs every 3-5 years. With contemporary safeguards, the amount of radiation received in a dental x-ray examination is extremely small. The risk is negligible. In fact, the dental radiographs represent a far smaller risk than an undetected and untreated dental problem. Today’s equipment restricts the beam to the area of interest. Our office employs digital radiography which allows us to decrease the amount of radiation exposure. A sealant is a clear white plastic material that is applied to the chewing surfaces (grooves) of the back teeth (premolars and molars), where most cavities in children can form. The sealant acts as a barrier to food, plaque, and acid, thus protecting the decay-prone areas of the teeth. However, cavities between the teeth cannot be protected by sealants. As long as there is no cavity in the tooth, sealants are recommended for all children. If you child has active decay (a cavity), a filling is placed after the decay is removed. Frequently, a sealant is placed over the filing and the remaining tooth for added protection. If a cavity is too large to restore with a filling, a crown may be recommended or the tooth may need to be removed. If the decay touches the nerve, but an abscess has not yet formed, it may be possible to save the tooth by performing a nerve treatment called a pulpotomy, and enclosing the whole tooth in a stainless steel crown. A crown will wiggle out adhered to the baby tooth, when it is time for your child to lose his or her tooth. Clean the area around the sore tooth thoroughly. Rinse the mouth with warm salt water or use dental floss to dislodge impacted food or debris. DO NOT place aspirin or any topical anesthetic (such as Orajel™) on the gum or on the aching tooth. If the pain is persistent, offer Ibuprofen according to appropriate dose for your child’s weight, and please call our office. If you notice swelling or the pain still persists, contact our office as soon as possible. Find the tooth. Handle the tooth by the crown, not the root portion. You may rinse the tooth, but DO NOT wipe or handle the tooth unnecessarily. Inspect the tooth for fractures, if there are no fractures, try to reinsert it into the socket. Have the patient hold the tooth in place by biting on a gauze or a paper towel. If you cannot reinsert the tooth, transport the tooth in a cup containing milk. If there is no milk, place the tooth in a cup containing the patient’s own saliva. DO NOT place the tooth in water. Call our office immediately or go to your nearest emergency room. Time is a critical factor in saving the tooth. Rinse debris from injured area with warm water. Place cold compresses over the face in the area of injury. Locate and save any broken tooth fragments in milk. If your child experiences severe pain, contact our office as soon as possible. Many children have bad breath, particularly in the morning. If your child seems to exhibit bad breath even after brushing, ask to see her/his tongue. If it appears particularly “furry,” a tongue scraper may help reduce debris that can contribute to bad breath. Additionally, some patients find alcohol-free mouth-rinse helpful. Chewing sugar-free gum can stimulate saliva and contribute to improved breath odor. Finally, if the foul smell persists, see your dentist or physician to ensure that there isn’t a systemic infection, tonsillitis, or oral infection contributing to the malodor. Firstly, make an appointment with the dentist to confirm that your child has canker sores, and not another type of infection. Avoid spicy and acidic foods, which can be painful to eat when ulcers are present. Switching toothpastes to avoid certain ingredients (such as sodium lauryl sulfates) has been beneficial for some patients. Ask your dentist about some alternative fluoride toothpastes that may aid in reducing the frequency of canker sore occurrences. For some people, however, canker sores may be recurring and persistent, and additional medical intervention may be required. An amalgam filling is generally less expensive than a composite filling, which is tooth colored. Neither filling is better or worse. That being said, most insurance companies opt to pay for treatment that carries a lower price tag. We offer limited orthodontic services and will refer your child to an appropriate specialist should the need arise. For procedures we do offer, we can prior authorize your treatment and let you know the approximate payment your insurance company will make and an approximate balance you will be required to pay. Eversmiles participates in most insurance plans. However, you can see our practitioners even if we don’t participate in your plan. While we will submit insurance forms for you, you are responsible for providing payment. Your insurance plan may reimburse you, not our office. Please refer to our payment policy for more information.